New Delhi: The “Wall of Truth” – the memorial having names of victims of the massacre of Sikhs in November 1984 – at Gurudwara Rakab Ganj near Indian Parliament will now become a memorial for all the Sikhs killed in hate crimes across the globe. Delhi Sikh Gurudwara Managing Committee (DSGMC) president Manjit Singh GK on Monday announced that not only the names of the Sikhs recently killed in Afghanistan in a targeted blast would be engraved at the Wall of Truth but also those killed in other hate crimes. Addressing a religious function in the presence of union minister V K Singh and Afghan ambassador to India, Shiada Mohammad Abdali at Gurudwara Rakab Ganj, Manjit Singh GK specifically mentioned that names of 37 Sikhs killed in Chittisinghpura in J&K in March 2000 just ahead of the then US president Bill Clinton’s visit to India, 32 Sikhs killed in Hond Chillar in Haryana in November 1984, 10 Sikhs killed in Pilibhit UP in July 1991 in a fake encounter after pulling them out of a bus, seven Sikhs killed in Pilibhit jail in 1994, six Sikhs killed in Oak Creek gurudwara in US on April 5, 2012 would be engraved on the wall. 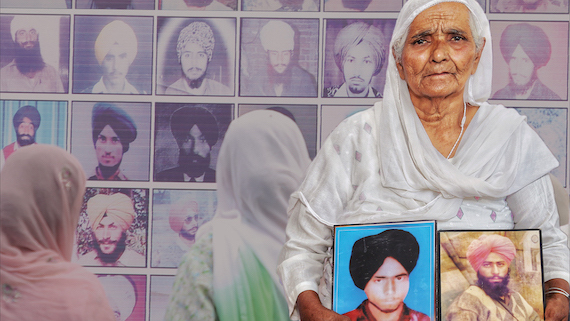 “All these Sikhs were killed due to their Sikh identity. 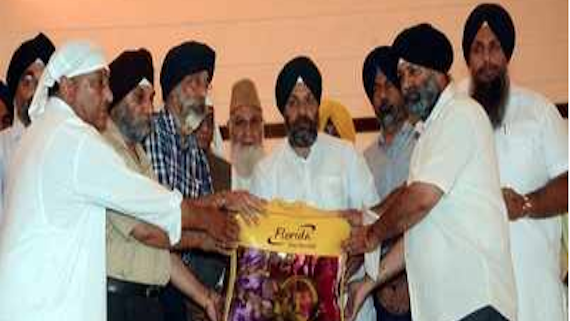 While engraving names of those killed due to their Sikh identity in the past incidents we would ensure that to make the Truth of Wall a memorial for all the Sikhs killed or being killed across the globe due to their Sikh identity,” he said. 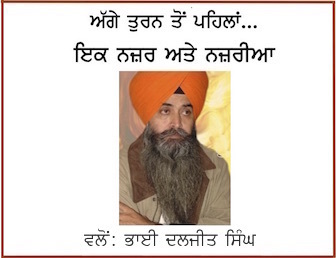 He said that names of the 13 Sikhs killed by Nirankaris in Amritsar on April 13, 1978, and three other Sikhs at other places in the country including Delhi would also be written in the ‘Wall of Truth’. He told TOI that the name of the Muslim driver and Hindu companion with Sikhs in Afghanistan would also be written here as they were killed when Sikhs were being targeted for their identity. DSGMC president also told that Sikhs from Afghanistan had urged him to mention the names of the Sikhs killed there in the recent attack. “Then I worked on the idea and discussed it with other leaders and members of the DSGMC and then we decided that this memorial be now made a memorial for all the Sikhs killed due to their identity in hate crimes from November 1984 in Delhi to those killed in Oak Creek, from Chithhi Singhpura to Afghanistan,” he added. Note: Above news/report was originally published in Times of India (ToI) under title “Sikh massacre memorial near Parliament now to have names of Sikhs killed in hate crimes across the globe” by I P Singh at source url: https://timesofindia.indiatimes.com/india/sikh-massacre-memorial-near-parliament-now-to-have-names-of-sikhs-killed-in-hate-crimes-across-the-globe/articleshow/64922255.cms. Its reproduced as above for the information of readers of Sikh Siyasat News (SSN).